Nestled in the heart of Saint James, a central resort in the Caribbean, the Angler Apartments is an intimate and comfortable property boasting fantastic hospitality. The hotel offers private access to the beach (a 4-minute walk away) and is just a 15-minute drive to the island’s capital of Bridgetown. 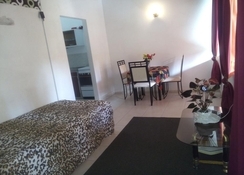 Angler Apartments feature a total of 12 furnished self-catering apartments, with the option of Studio or One Bedroom, each of which is equipped with relevant amenities and facilities. Guests can relax in the in-house Garden Bar and Restaurant, which serves a variety of cuisines including traditional Caribbean fare. When you’re not lounging on the white-sand beach or exploring the exciting capital, there are three golf courses nearby if you’re feeling sporty. The hotel offers easy access to public transport and taxis, meaning day trips and getting around the resort is simple. The Angler Apartments has private access to the beach, which is located across the road at a 4-minute walk away. Three lush golf courses are also a short drive away for those that enjoy activities during their holiday. If you want to soak up the local culture, travel 15-minutes to the capital of Bridgetown where you’ll be met by sights of old colonial buildings, fantastic shopping, National Heroes Square and more. 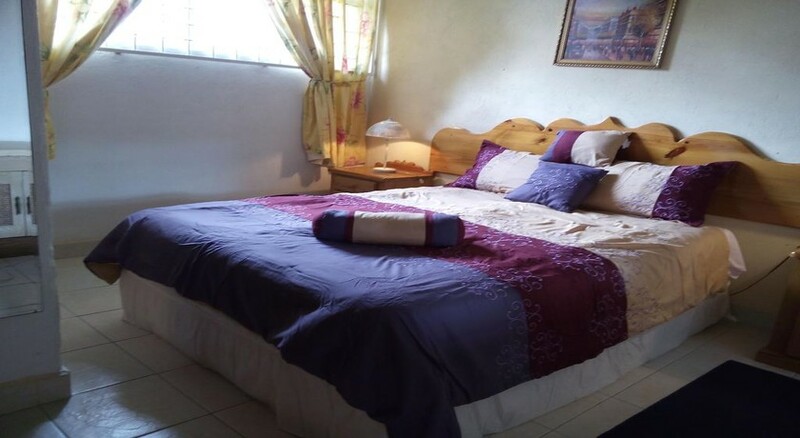 The property is 25km from the Grantley Adams International Airport. 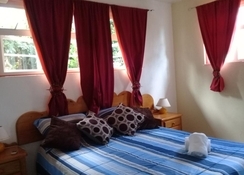 The rooms at Angler Apartments are painted in bright colours. 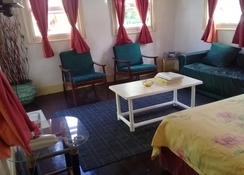 Each guestroom has a seating area with a sofa bed and cable TV. 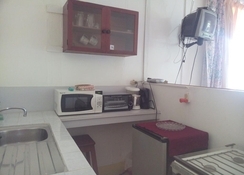 There is a fully-furnished kitchenette with a refrigerator, toaster oven, and coffee maker that allows guests to make their own food. 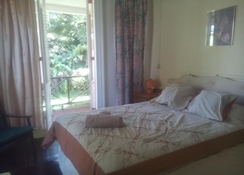 The apartments have a private entrance and offer gorgeous views of the sea. The Angler Apartments houses the Garden Bar and Restaurant, which serves delectable vegetarian, Indian and Caribbean fare. Dine at the al fresco bar and restaurant for a relaxed the atmosphere and chilled-out ambience. 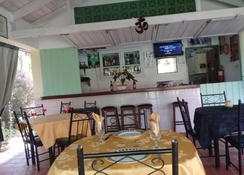 Expert chefs prepare the tasty and varied cuisine using the freshest ingredients and herbs unique to the Caribbean. There are also karaoke nights on Saturdays and Billiards contest. Angler Apartments is close to many of the resort’s tourist attractions. The sandy beach, nearby market stall, the grand church as well as an ice cream parlour are popular pastimes when visiting. You’ve also got The Folkstone Under Water Marine Park, a cinema and farmers market nearby. For R&R, the hotel offers massage services as well as yoga sessions to its guests, or if you want to try the islands diving, go snorkelling, surfing or ask the hotel to arrange a Scuba Dive training program for more serious water lovers.